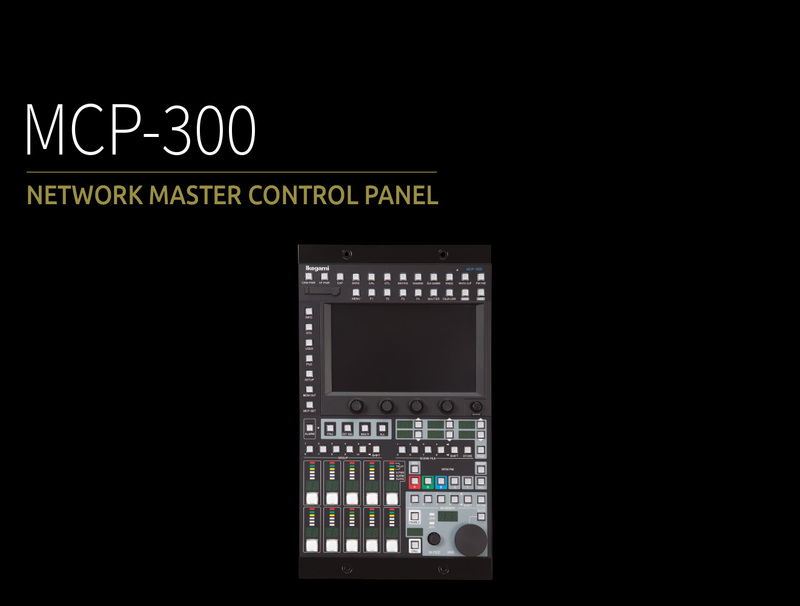 The MCP-300 is a newly designed network master control panel for use with not only Ikegamis conventional ICCP control and Arcnet based control, but also Ethernet based control, allowing customers the flexibly to choose the camera control system based on their needs. 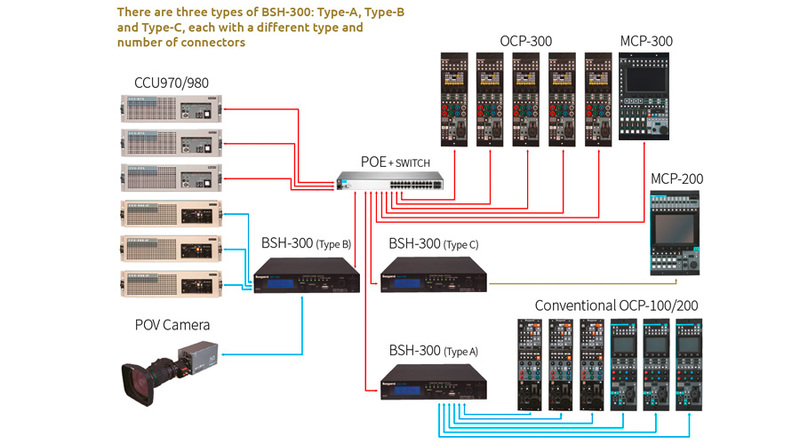 As a master control panel, it provides simultaneous operation for up to 10 cameras, moreover up to 100 cameras can be selected (10 cameras x 10 groups). 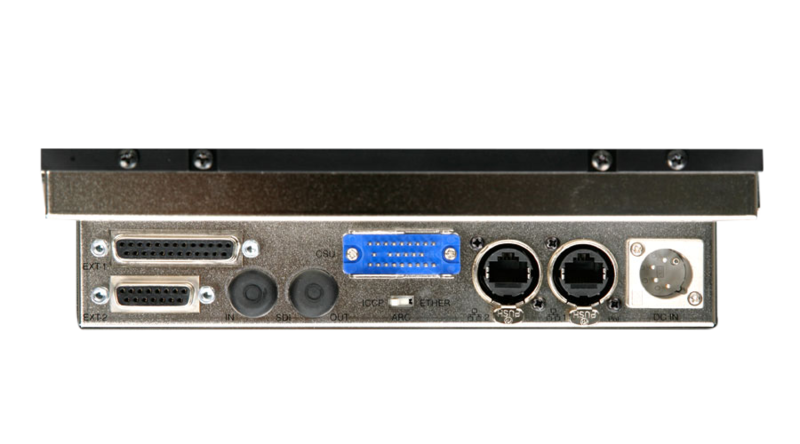 The MCP-300 also supports PoE, Powering over Ethernet, so a separate power supply is not necessary. 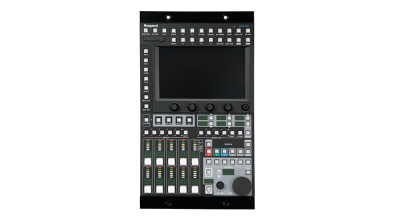 The MCP-300 provides a large 7-inch LCD touch screen GUI allowing an operator not only the ability to control cameras as did previous master control panels, but also in depth access to monitor and maintain camera settings. The name of each function switch on the MCP-300 is illuminated, allowing use in a dark environment. The MCP-300 provides four switches above the LCD screen which can be custom assigned, also the user is free to customize function items to be assgined to the UP/DOWN Select Swiches. 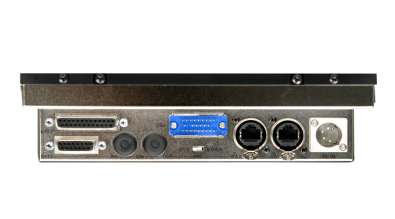 The Control Depth can be set (with password protection), permitting the user to optimize the control access of the MCP based on their operating style. The MCP-300 includes the function to output a character signal (HD-SDI) such as diagnostic information on an external monior, also it can indicate the optical level to and from the camera head by status bar, helping the user to easily understand the camera cable condition.